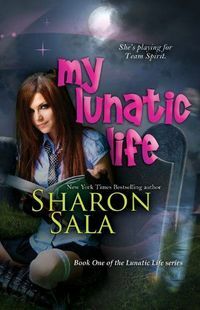 New York Times bestselling author Sharon Sala concludes her Lunatic Life mystery series the way it began-with lots of Team Spirits. 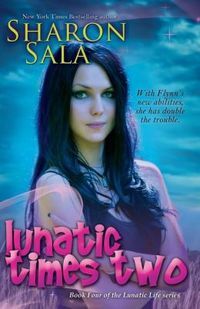 In MY LUNATIC LIFE, Tara Luna is the new girl in school, trying to hide her ghostly friends and fit in-impossible, since she's soon tracking down kidnappers and dodging Dee Dee Broyles, a murdered teen girl who just happens to haunt Tara's new house. 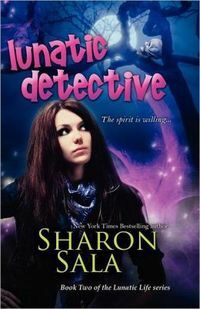 In LUNATIC DETECTIVE, Tara and hunky bad-boy classmate Flynn O' Mara partner to find Dee Dee's killer while admitting they're more than just friends. Now that he knows she's "different," will he stick around? The stakes are even higher in LUNATIC REVENGE, as bad guys come after Flynn and Tara to find out where his dying father, and ex-con, hid a stolen fortune. A surprising twist gives Flynn a gift neither he nor Tara ever expected. And now, in LUNATIC TIMES TWO, that still-hidden money threatens Tara and Flynn again. This time, Tara may not survive. She'll need the help of every friend she's got on the other side. Including some she's never met before. 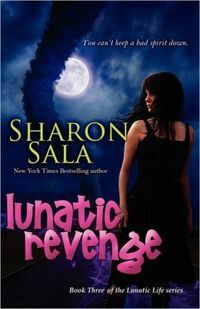 Sharon Sala is a seven-time RITA finalist, winner of the Janet Dailey Award, four-time winner of the Career Achievement award from RT Magazine, and five-time winner of the National Reader's Choice Award. Her books are New York Times, USA Today, and Publisher's Weekly bestsellers.